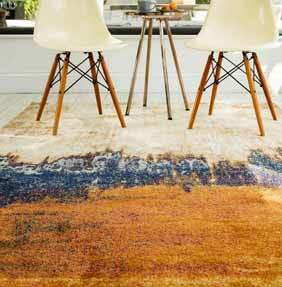 Bright and exuberant in style, the Nova rug range is an abstract collection from Asiatic Carpets. Showing off patterns and styles reminiscent of an artist’s palette and studio, the Nova range is bold with many different abstract designs to explore. The range shows off sophisticated colour palettes and trending tones in a unique and original way. Each Nova rug is super soft and durable due to its 100% polypropylene weave. The rugs are made by machine to ensure a consistent, quality finish and there are three different sizes to choose from in this collection.